Congratulations to Nancy! Now that's quite a feat! All the best! Congrats Nancy, sounds like a winner. I've owned and lived in a couple of very old farmhouses (fincas) in Spain and it's highly likely deaths occurred in these houses. It's normal and doesn't freak me out in the slightest. Death is something we all face; there's nothing macabre about it. I lived in a house once that was over 200 years old. I didn't delve into the history but it had once been a nunnery. There was a sweet spirit about the place and it's a darn good thing because it could have been terrifying otherwise. I'm with you about sweet spirits. 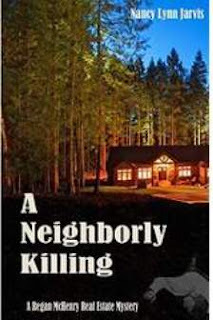 Please take a look at my ghost story from the beginning of "The Murder House" (I'm pretty sure you can see it online without needing to buy)to she my shared similar story. Good morning, California time. Houses don't have to be old to have bodies in them. In my state a death in a house, even from natural causes, has to be actively disclosed for three years and disclosed if asked after that. Murder is a whole different thing. Writing "A Neighborly Killing" I wondered what the real estate community would do with the death. It was suicide...sort of...that took place not in the house but some yards from it and it wasn't the resident who died. Sixth in the series but 7th book. I got off track once and wrote a comedy about octogenarian bank robbers who impersonated old people to rob a bank and save their mobile home park from foreclosure. I'm impressed by anyone who can carry out a series, so congratulations and all the luck possible with this latest one. Congratulations Nancy. I take off my hat to any writer that can write more than one book, and you wrote six in one series? Amazing! Also, the story sounds like a good read. Thank you Clee and Murees. Congratulations, Nancy! What a great title for a book. Sounds like an awesome read, too. Reading this now and loving it! I especially like Tom's involvement. I lived in an older home many years ago. It belonged to my grandmother and she passed away there. I used to chat with her spirits all the time! Thanks for having me on your blog, Yolanda. Your followers rock. 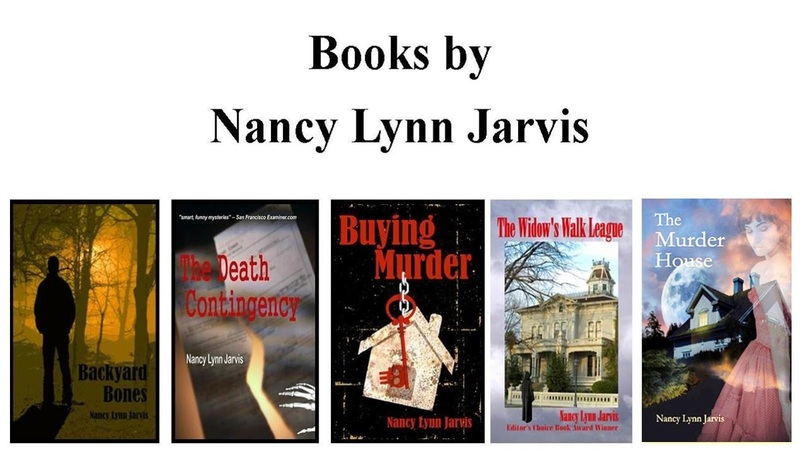 Congrats to Nancy Lynn Jarvis.